It's been awhile since I've been on a podcast but it turns out it is pretty much like riding a bike - easy to pick up again! 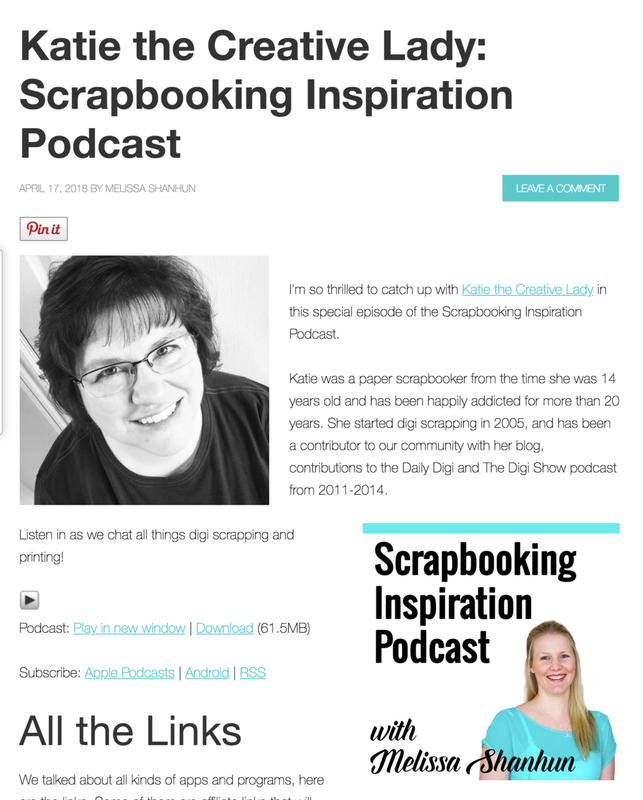 Melissa Shanhun of Digital Scrapbooklng HQ invited me to be a guest on her Scrapbooking Inspiration Podcast and it was a lot of fun to visit with her! Click here to visit her website and get the link to listen.